Its a new App that is making a lot of noise overseas, and has the potential to do so here. 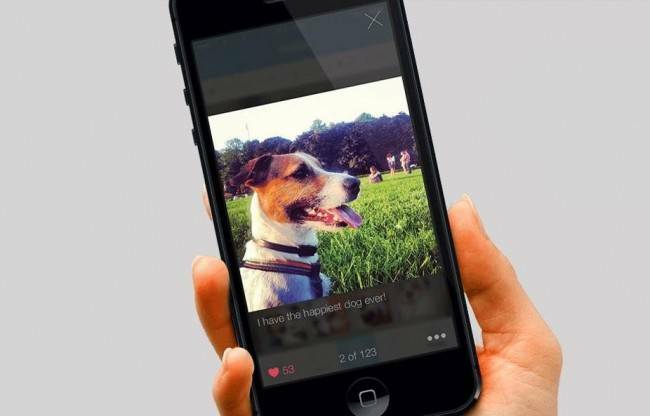 The latest to join this furry furor is Woof, an the new app that gives dog owners a bevy of features that aim to make their canine companions happy. Now available on Apple iOS at the Woof packs in a ton of different features. You can create a profile for your pet with name, photo, age, and breed. Or you can take photos of your best friend and upload them for the whole community to see. Woof also allows you to mark your dog’s territory – so when your lifts his leg to leave a message for his pals, you can place a pin on the app’s integrated map, and mark his territory electronically. If any Woof users happen upon your dog’s mark, Woof will let you know that someone is “sniffing” you … I can't say that I'm huge on that function. Other features include that you can easily look to see if any other Woof users are nearby, making puppy playtime meetups a breeze. And the app shows you the locations of parks in your area, and lists whatever “amenities” they might have, from fountains to fences to off-leash regulations. the team behind this haven't familiarized themselves with every New Zealand or Australian dog park yet, so for now be prepared to travel to your "nearest" dog park. I couldn't really spend too much time using Woof, because its cool features haven't been engineered fully for the kiwi market yet. we found the app to be quite handy when looking for a good place to take a walk. It’s still in its early stage, so it could be a good App to watch.